BOOK NOW! Contact Gillian Hovell by email or Tel. 07860 637301 Places are limited. 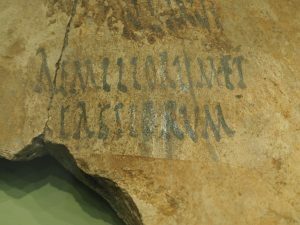 Join The Muddy Archaeologist in locations around the Harrogate region for fascinating explorations into the ancient world. 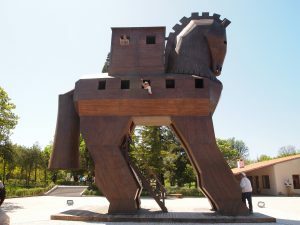 Join us and explore the Roman’s version of the great adventure that was The Story of Troy and the greatest patriotic epic poem of all time. Come along and find out what all the fuss is about. 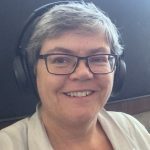 As a taster, listen here to me, Gillian Hovell, The Muddy Archaeologist, reading Book 1 of Dryden’s poetic translation of the Aeneid. Texts shall be read in translation with short extracts also in the original Latin to enjoy the richness and depth of the words used by this master poet, called ‘The Lord of Language’ by Tennyson. Non-Latin readers and rusty Latinists very welcome – full guidance will be given. Get to grips with Greek and Roman art, starting with the earliest Cycladic art and sculpture. Each week, we shall explore different media: we discover vibrant pottery, innovative sculpture and the use of precious metals and gems. The Romans adopted and adapted Greek art, developed frescoes and mosaics and perfected the art of glassware. A surprising source of art is the rich wealth of images on coins, both Greek and Roman. Art was part of daily life in the ancient world; as we explore the images and stories that surrounded everyone, we too immerse ourselves in ancient art. Come and join us and discover the beauty, meaning and impact of ancient classical art. See the wealth of art that enriched the ancient world. Texts shall be read in translation with short extracts also in the original Latin to enjoy the richness and depth of the words used. Non-Latin readers and rusty Latinists very welcome – full guidance will be given as we discover the depth and origin of our English words in the art world. This richly illustrated course will depict ancient life, art and architecture in a fresh and vital way. Please join us. Guided close reading of famous sections of the Latin, with tuition enabling a deeper understanding of the beauty and skill of Virgil’s great epic, the Aeneid. Extracts explored from one book each week. Some basic experience of Latin required. 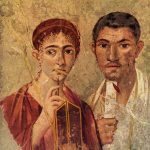 Our English language is packed with words and phrases that derive from Latin; explore how every part of our modern lives is coloured and given depth by words from the Romans. Just how and why did Latin travel through the millennia and centuries long after Rome’s fall? And how and why do we still encounter Latin every day of our lives? We shall travel through the ages to explore the dynamics, invasions and inventions that kept and continue to keep Latin firmly in the limelight. Be prepared for your Mediterranean holiday or discover the big picture around those archaeology TV documentaries. 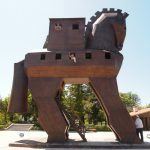 This is ancient history brought vividly to life, from the first farmers in the Mediterranean through the Egyptians and on into the Minoans, Mycenaeans, Phoenicians, Etruscans, Archaic Greeks, Classical Greeks and the all-conquering Romans. Discover not just the exciting histories, but explore the distinctive identities of each of these great cultures, their vibrant connections and their art and innovations that helped to shape the Western World. Classical literature shaped our Western culture. 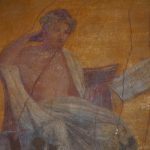 This richly illustrated course will provide a guide to and a celebration of classical writers, from Homer, through Hesiod and the Greek historians, playwrights and philosophers, into the Golden Age of imperial Roman poets, writers and historians. The Silver Age and beyond take us to the Classical authors’ impact on the Renaissance and Christian writings. Explore the narrative of ancient literature, the contexts, connections, and even legacies in later centuries; classical literature really is accessible and relevant. BOOK NOW, and then sit back and enjoy your Christmas festive season while looking forward to a thrilling adventure into the past and into the way our world today has been shaped. All with good company and a friendly welcome.